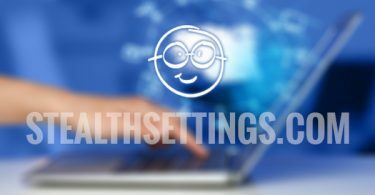 One of the Feature Sites representative operating systems OS X it is dockWhose functionality is similar to the Taskbar and Quick Launch site from Windows. If you are using Windows and you want to add this one However, to be faster access certain applications installed in the system, a solution would be to use a third-party applications such as Aqua Dock. 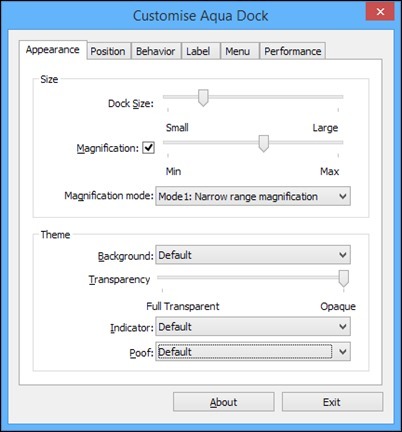 Aqua Dock is a free application that allows users to add in Windows un However, full customizable that mimics the functionality dock native OS X. This is displayed by default in the bottom of the desktop (above Taskbar), But may be repositionedAs desired, in any between the edges of the screen. Shortcuts for quick access to applications can be added through a simple dock drag & drop (They can be held including Start Menu), Which can be separated for a better ordering through a separator (Right click on the dock, then select Add> Separator). Aqua Dock does not require limit shortcuts can be added and also allows rearrangement All these by drag & dropDepending on user preferences. In addition, the length of the dock can be also customized very simply by left-clicking on the dock and pulling at the same time it in the opposite direction. 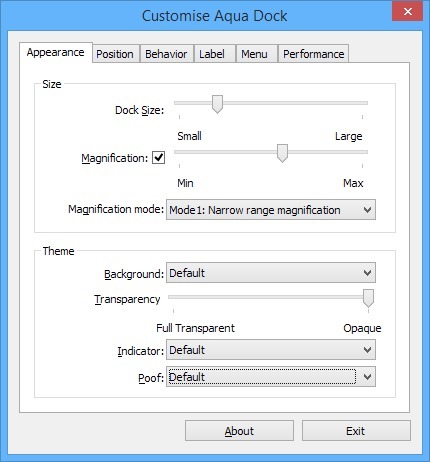 Size, appearance, transparency and other Feature Links of the dock can be changed Preferences (Available in right-click menu), And all in Aqua Dock settings users have the option to control application performance according to system performance which runs (in case you feel that Aqua Dock consume too many resources, Select the Low quality tab, Performance).